Mr. Peanut is not an easy book to recommend, partly because it's not an easy book to read. The storylines in the novel fold back on themselves and the references to Escher are no coincidence. This is truly a Möbius strip of a novel. The other tough aspect of this novel is the way in which marriage is portrayed. 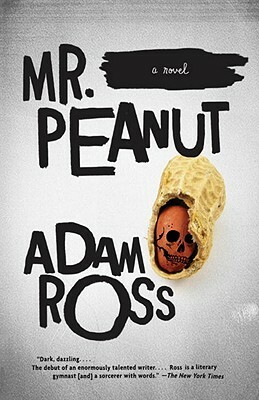 If you thought Gone Girl was the dark side of marriage, then Mr. Peanut is the black abyss. Ross writes of the relationship between David and Alice with brutal honesty, including the bitterness, rage, jealously, regrets and shame. By the end of the novel--when the threads are pulled together--the result packs an emotional wallop. It is also the type of conclusion that will have you rethink what you have read, and realize that you have just been taken for an immensely risky and brilliant literary ride.